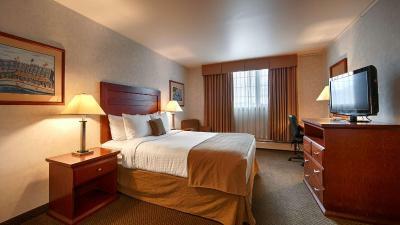 Lock in a great price for Best Western Gold Rush Inn – rated 8.1 by recent guests! The staff was pleasant and helpful. The restaurant food was good but two mornings i ordered a breakfast on the menu that was not available. They were apoligitic saying that they hadn't received their delivery. 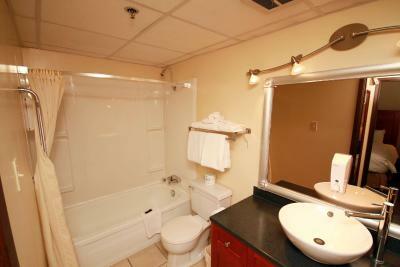 The room felt very clean and comfortable, great location, decent view! Will definitely go back. 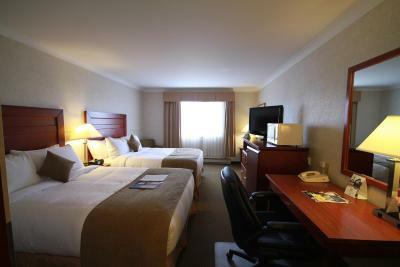 The hotel was in a good location, everything was with in easy walking distance. 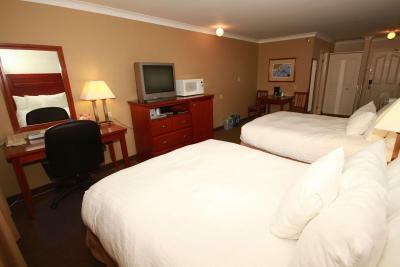 The rooms were clean and the beds comfortable. The staff was friendly and let me store my bicycle and my bags in the luggage room. The restaurant on site had very good food. Location was great. Staff was excellent. Special thanks to cleaning staff and Emily for finding and helping to return a device left in room. 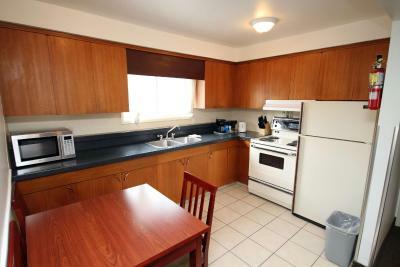 The location was great, close to downtown and everything, the room was clean, staffs were very friendly. Free airport shuttle. The restaurant on the first floor was great too. There was one travel agent right on the first floor. I especially like the mattress in my room. Staff was very friendly and helpful. Bed was comfortable and the room was clean and spacious. It was pretty close to restaurants and coffee. Fun history. 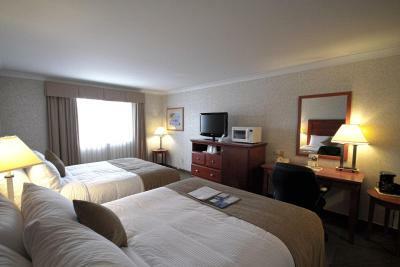 Best Western Gold Rush Inn This rating is a reflection of how the property compares to the industry standard when it comes to price, facilities and services available. It's based on a self-evaluation by the property. Use this rating to help choose your stay! 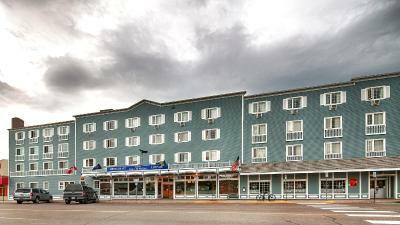 One block from the S.S. Klondike Historic Site and Old Log Church Yukon Museum, this rustic hotel is located in downtown Whitehorse. It features an on-site saloon and a gym. 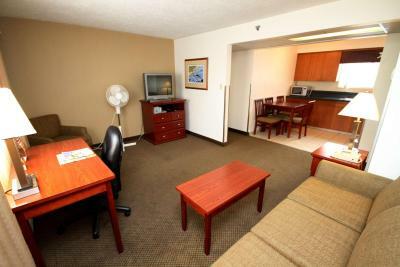 Each of the colorful rooms at the Gold Rush Best Western Inn includes a microwave, coffee maker, and refrigerator. 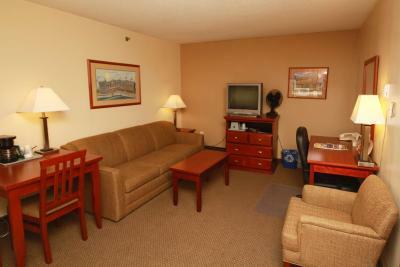 Guests can relax with the cable TV and free Wi-Fi. The Gold Pan Saloon, located on site, is open for breakfast, lunch and dinner. It serves steaks and boasts a full bar. The business center is located off of the lobby along with an ATM. Laundry facilities are available 24 hours a day. 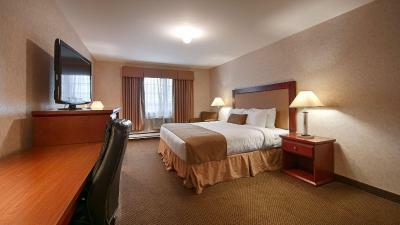 The Best Western Gold Rush Inn offers free airport shuttle to/from Whitehorse Airport, 3.7 miles from the hotel. 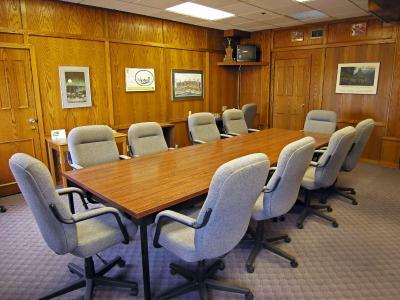 Mountain View Golf Course is 5.6 miles from the property. 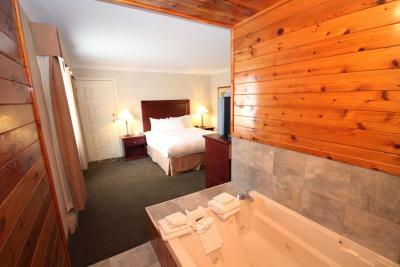 When would you like to stay at Best Western Gold Rush Inn? House Rules Best Western Gold Rush Inn takes special requests – add in the next step! 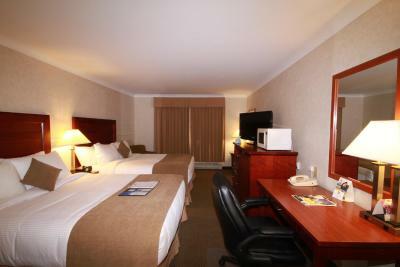 Best Western Gold Rush Inn accepts these cards and reserves the right to temporarily hold an amount prior to arrival. 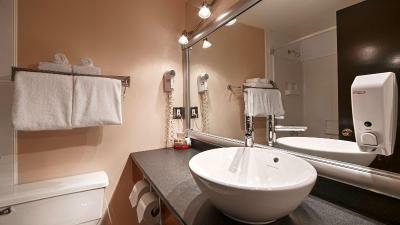 They could have put a shower curtain up in the bathroom. Also, pet fee was excessive at $20.00 per pet; especially when one was a non-shedding toy breed. The outside of the hotel was absolutely filthy. Granted it was spring, but, they could have swept and picked up the trash. Also, loading onto a cart is difficult as there is limited temporary space in front of the hotel and you need to park off-site. Definitely a historic hotel very cool but maybe a little to nostalgic in some areas like the beds. They upgraded my room from deluxe room to king suite due to no deluxe room available , but the king suite didn't meet my expectation. It was slightly larger than deluxe room, no kitchen as shown on the website, and with only one bed in the room, me and my friend had to share one bed for three nights. 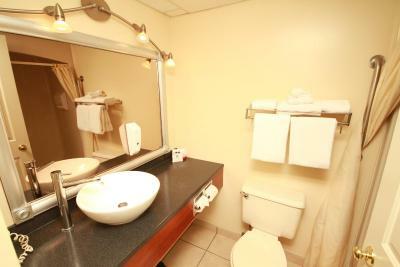 The hotel shouldn't put those misleading photos on any website. Noisy person stomping around above our room. The lobby is a bit run down. The view from the window in the room wasn't very scenic. I would prefer reusable coffee cups in the room, rather than paper ones. Smack in the middle of town. Lively bar. The room was facing the sidewalk at ground level on a busy street. The room was very warm and i was not able to open a window or adjust the room temperature. I wasn't able to open the drapes because of the location of the room so it was always dark. 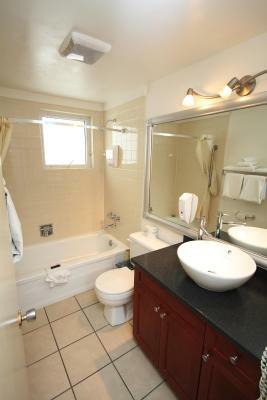 The fixtures and the toilet were very stained. Not a pleasant sight. Music from bar to noisy.